Blenheim Ginger Ale is America’s favorite old-timey spicy ginger ale. Our family run business based at America’s favorite roadside attraction, South of the Border in Hamer, SC, has been making the most flavorful ginger ale on the market for over 100 years. Every once in a while we like to spotlight one of the fine stores that carry the best hot ginger ale on the planet. 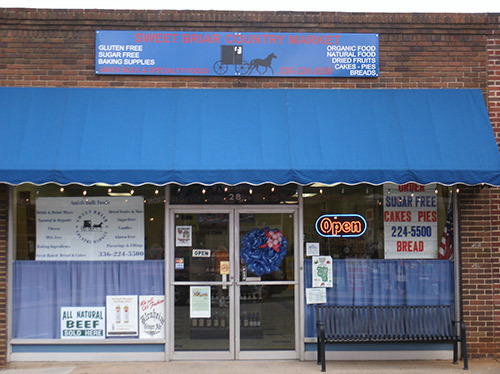 This month we visit the Sweet Briar Country Market in Lexington, NC. 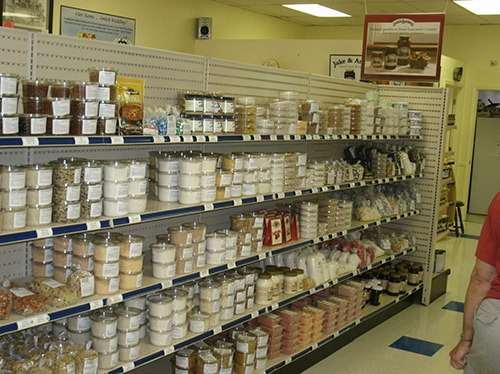 In addition to carrying Good Old Blenheim Ginger Ale, they carry Amish foods, bulk foods, fresh baked goods, all-natural meats and much more. Located in the downtown section of North Carolina’s barbeque capitol, this store brings a great variety of classic country market goods to shoppers. Here’s the front so you won’t cruise by it’s location at 28 West 2nd Street. 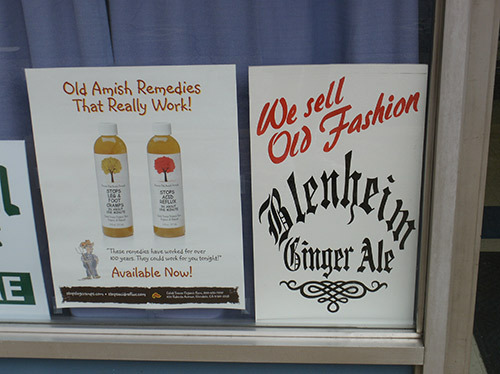 Look for the We Sell Old Fashion Blenheim Ginger Ale sign as you walk down the street. How about a bag of delicious sweets? 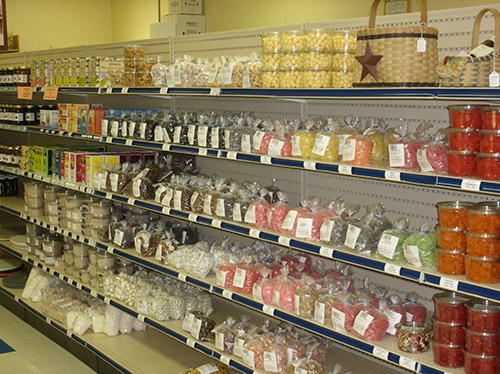 They sell all sorts of candy from classics like Squirrel Nut Zippers and liquorice to different kinds of gummy candy that the kids just love. An with Valentine’s Day right around the corner all the chocolate flavors and fudge would be perfect. 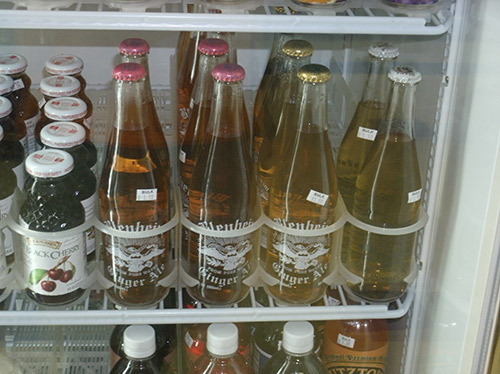 If one nice, cold Blenheim Ginger Ale just isn’t enough for you, grab a whole case while you are here. Sweet Briar Country Market has just about any spice or seasoning mix that you might want. We brought home some whole nutmeg and a little gadget that had a place to store a piece of nutmeg inside and a fine grater. Now our Bechamel sauce really has real zing to it. Amish foods are a specialty at Sweet Briar in Lexington, NC. 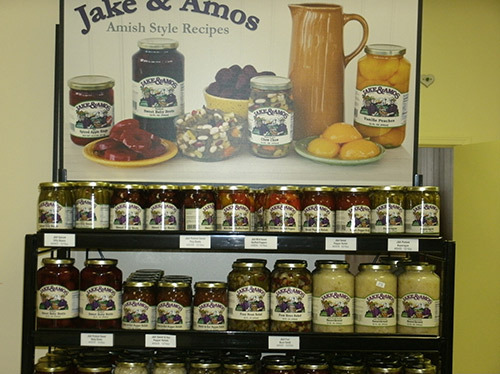 You can find jams, jellies, honey, salsas and a wide variety of pickled vegetables. The pickled eggs are a must try and they go really well with our Old #3 spicy ginger ale. 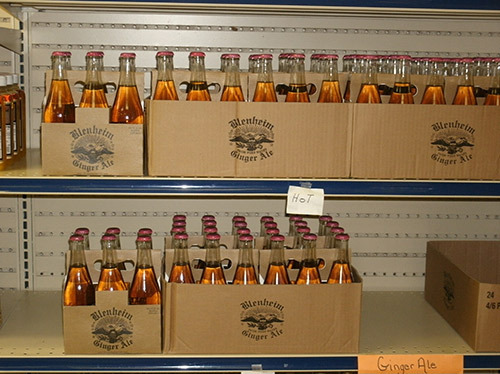 So the next you around Lexington, NC and get the craving for the best ginger ale on the planet, stop by Sweet Briar Country Market and pick up a case or three of Good Ole Blenheim Ginger Ale. If you can’t find our ginger ale near you, we can ship it to you by the case directly from the Blenheim Shop. Our Interactive Blenheim Store Locator will help you find the retailer nearest to you. This entry was posted on Monday, February 10th, 2014 at 11:36 pm	and is filed under Blenheim History, Vendor Spotlight. You can follow any responses to this entry through the RSS 2.0 feed. You can leave a response, or trackback from your own site.